412 in stock Need More ? Illustrations and text on inside covers Includes QR code Previous edition: published as by Peter Dragicevich, Miriam Raphael. 2012. 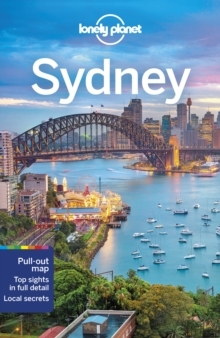 Lonely Planet: The world's number one travel guide publisher* Lonely Planet's Sydney is your passport to the most relevant, up-to-date advice on what to see and skip, and what hidden discoveries await you. 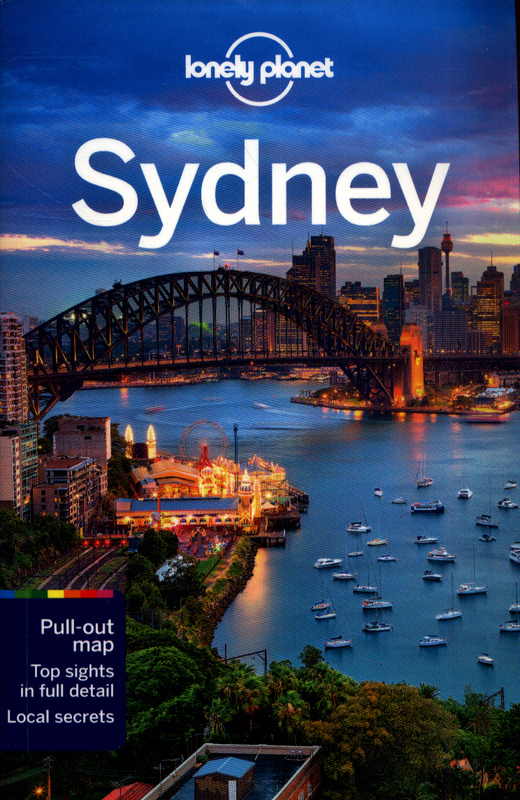 Take to the water and explore the spectacular harbour by boat; laze on the beach at Bondi and watch the waves - and the surfers - roll in; and hunt down the latest trendy bars and restaurants. 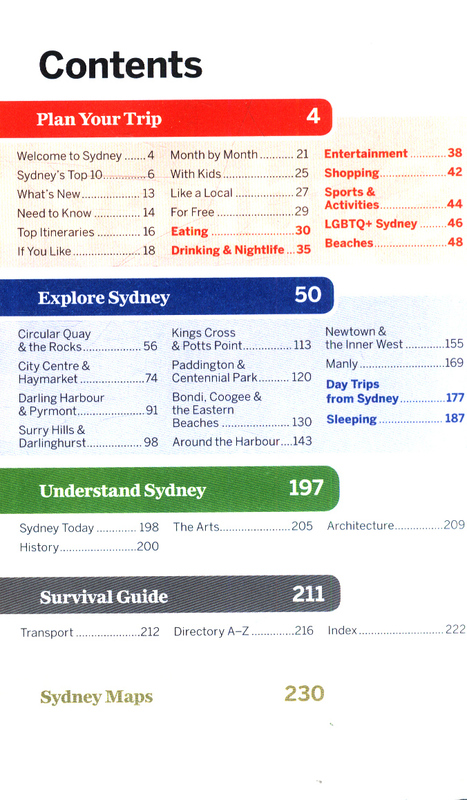 All with your trusted travel companion. 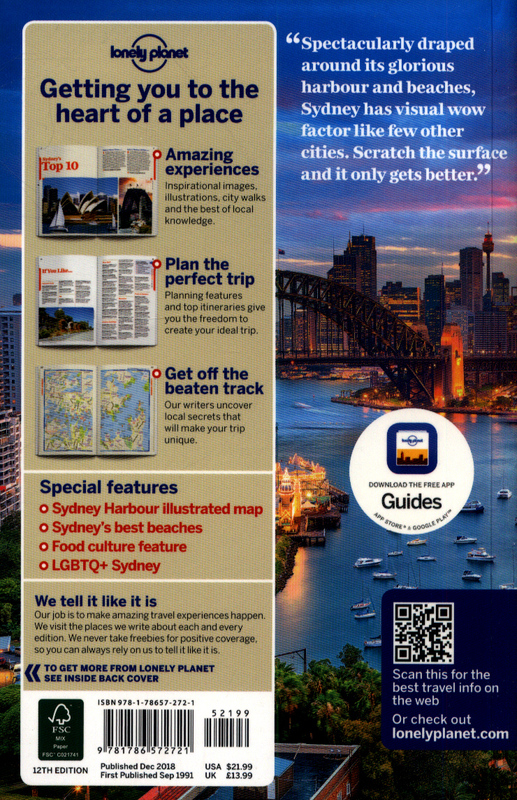 Get to the heart of Sydney and begin your journey now!Inside Lonely Planet's Sydney:Colour maps and images throughoutHighlights and itineraries help you tailor your trip to your personal needs and interestsInsider tips to save time and money and get around like a local, avoiding crowds and trouble spotsEssential info at your fingertips - hours of operation, phone numbers, websites, transit tips, pricesHonest reviews for all budgets - eating, sleeping, sightseeing, going out, shopping, hidden gems that most guidebooks missCultural insights provide a richer, more rewarding travel experience - covering history, people, music, cuisine, politicsCovers Circular Quay, The Rocks, Sydney Harbour, City Centre, Haymarket, Darling Harbour, Pyrmont, Inner West, Surry Hills, Darlinghurst, Kings Cross, Potts Point, Paddington, Centennial Park, Bondi, Coogee, ManlyThe Perfect Choice: Lonely Planet's Sydney is our most comprehensive guide to the city, and is perfect for discovering both popular and offbeat experiences. Looking for just the highlights? 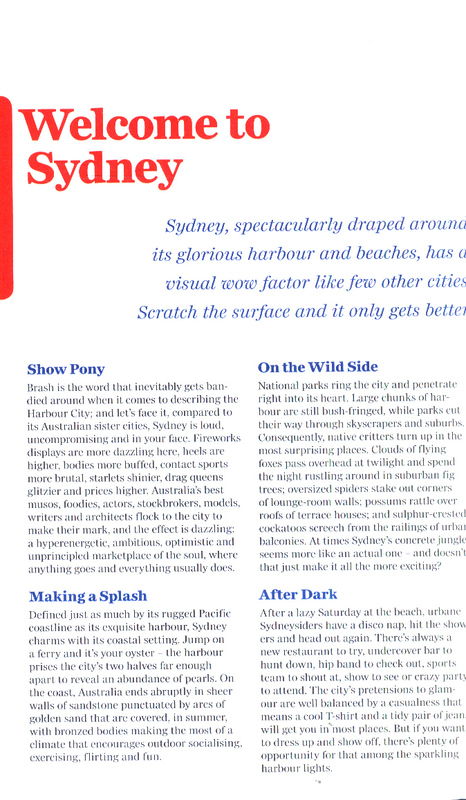 Check out Pocket Sydney, our handy-sized guide featuring the best sights and experiences for a shorter visit.. After wider coverage? 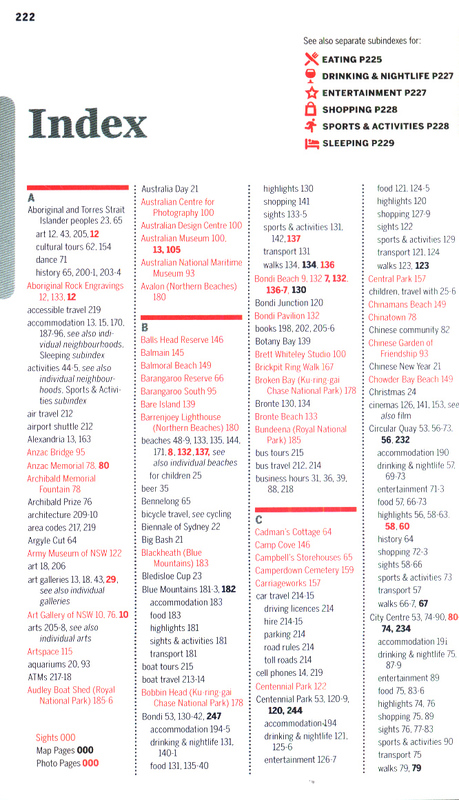 Check out Lonely Planet's East Coast Australia or Australia. 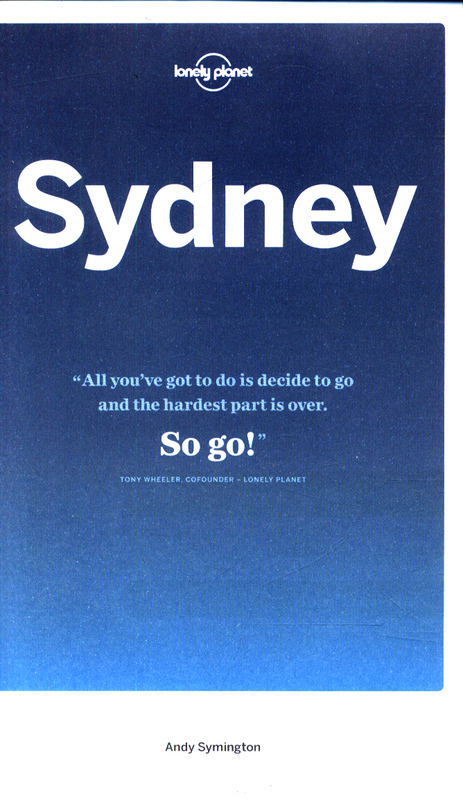 About Lonely Planet: Lonely Planet is a leading travel media company and the world's number one travel guidebook brand, providing both inspiring and trustworthy information for every kind of traveller since 1973.